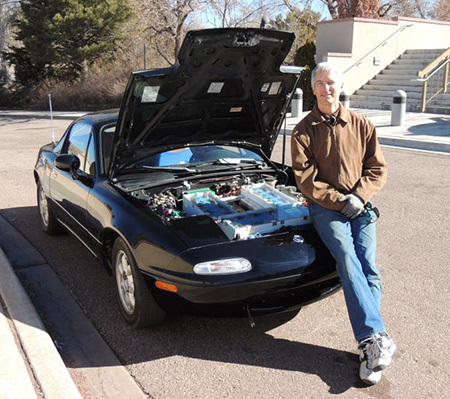 Congratulations to Dan on the selection of his electric 1994 as the May Miata of the Month! How does a 200HP, 250 ft-lb Miata for under $25k sound to you? Well…mine is almost silent! ‘Kix Gas’ is an all-electric conversion of a brilliant black ’94 done on a very moderate budget, yielding excellent performance, and creates BIG smiles with everyone that sees it or gets a ride. Coupling legendary Miata fun and handling to serious DC motor torque off the line from a dead stop has made this little Miata my favorite ride of all time. You may ask “Why?” Well, I’m a believer in electric cars for urban/suburban daily use, and the new OEM all-electrics are just plain ugly, expensive, and not all that fun to drive. I wanted to capture the fun of a sports car on a budget the common person could afford. 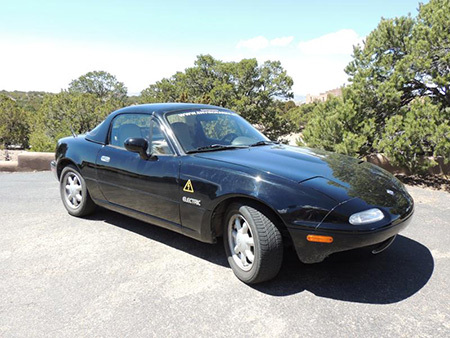 The Miata is the perfect platform… small, light, affordable, available in great shape used at decent prices. I was lucky enough to find one already converted, running on a set of mostly dead lead-acid batteries. 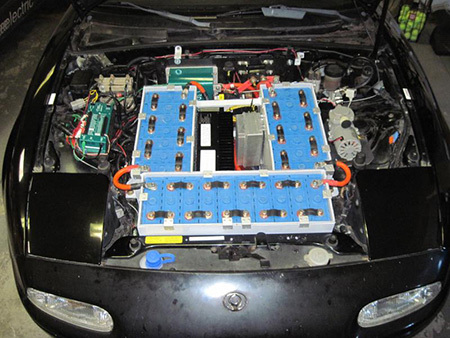 I invested in a new pack of Lithium-Iron-Phosphate (LiFePO4) batteries, upgraded a few components to match, and have a fabulous e-Miata set for 75,000+ miles of guilt-free, CO2-free, maintenance-free driving for under $25k before I have to replace the batteries. The other interesting thing is how docile it is…. 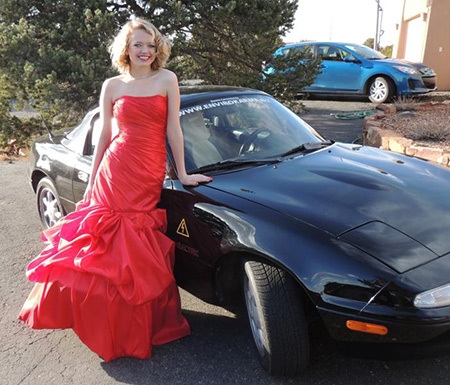 Unlike a tweaked out track machine, this ‘monster Miata’ is the vehicle my daughter is learning to drive a stick-shift in! It’s cheating a little since you don’t use the clutch from a stop, can’t stall, and pretty much just leave it in 3rd gear around town from 0-50mph. The stock gearing makes 1st useless, second can produce serious wheel-hop and burnouts, so 3rd is the usual start. 5th at 5000rpm tops me out at 95 mph unless I change gearing, but that's fast enough for now since I’m not racing it. I’ll be posting a video walk-around and over-the-shoulder 0-60 someday soon. 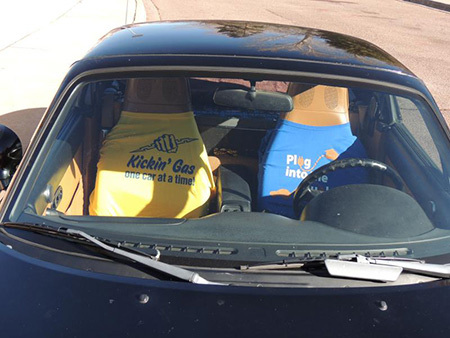 I have lots of pictures and information available on my website at envirokarma.org, and would encourage any of you Miata owners to join me in the electric revolution and keep your Miata humming!